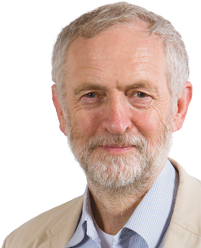 Below is the text of the speech made by Jeremy Corbyn, the Leader of the Opposition, at the Institute of Engineering Technology in London on 2 June 2016. Today, we want to set out the positive case for remaining in Europe and for reforming Europe. There are just three weeks to go until the referendum vote on 23 June but too much of the debate so far has been dominated by myth-making and prophecies of doom. In the final stage of this referendum, as we get closer to what is expected by many to be a very tight vote, it does not help the debate over such a serious issue if the hype and histrionic claims continue or worse intensify. I believe the EU has the potential to deliver positive change for the people of Britain if there was a radical, reforming government to drive that agenda. Too often what has held back the EU is having to move at the pace of the slowest. Too often that has been the British government. And let me say up front to anyone listening who is not already registered to vote – Please register – you have five days to do so. We appeal especially to young people who will live longest with the consequences of any vote. Just over a week ago, George Osborne claimed that the British economy would enter a year-long recession if we voted to leave. This is the same George Osborne who predicted his austerity policies would close the deficit by 2015. That’s now scheduled for 2021. It’s the same George Osborne who said the British economy would be “carried aloft by the march of the makers” yet the manufacturing sector has stagnated ever since, and manufacturing employment declined. The biggest risk of recession in this country is from a Conservative Government that is failing, failing on the deficit, failing on the debt, failing to rebalance the economy and failing to boost productivity. The Leave side has concocted a number of myths about the evils of the EU. Many are, frankly, bananas. So let’s remind ourselves of the positives it was EU regulation that improved the UK’s beaches which, if you go back 30 or 40 years, were in a terrible state . Britain used to pump our untreated sewage straight into the sea. Just 25 years ago one in four British beaches were too dirty to swim in. Now 95 per cent of our beaches have a clean bill of health. Three years ago the EU voted to restrict the use of some pesticides that are strongly linked to the decline of the bee population, essential for our biodiversity. The coalition Government lobbied against the restrictions but they passed. Too often the British government has had to be dragged kicking and screaming into acting to protect our own environment. As we know, we have a Prime Minister who has lurched from ‘hug a huskie’ when he became Tory leader to, a decade on, ‘gas a badger’ and ‘poison the bees’. When recent court judgement ordered the British Government to do more to tackle air pollution, it was the UK Supreme Court in London, acting to enforce EU standards. A recent study found that EU air quality regulations are saving 80,000 lives a year across Europe. It’s time this Government acted to save lives here too. European Union targets have been vital in encouraging the adoption of renewable energy. Some countries like Germany and Denmark have embraced this change, invested and revolutionised their energy markets, creating new high skill jobs and leading technological advance. Britain has dragged its heels so much for David Cameron’s rhetoric of “leading the greenest government ever”. It is an EU directive that has stopped the mobile phone companies from ripping us off if we make or receive a call abroad. It was the collective strength of 28 countries representing 520 million people achieved that. The European Convention on Human Rights, empowering citizens to hold the Government accountable has strengthened our rights as citizens and stopped the Government gagging free speech and a free press. It was the Labour Government who wrote the Convention into UK law through the Human Rights Act of 1998. Today senior figures in the Conservative Government are discussing repealing that Act which has ensured the state cannot violate people’s human rights. It is because of those human rights in law that we had the inquest into Hillsborough, so that those families finally got justice after 27 years – and congratulations to them for their tenacity and their dignity. And it’s worth reflecting that if this Government repealed the Human Rights Act, and opted out of the European Convention, it would join Europe’s only dictatorship Belarus as the only other country not to support these universal human rights. And it’s important to understand the benefit of these gains. It means workers throughout Europe have decent rights at work. Meaning it’s harder to undercut terms and conditions across Europe. Several Leave supporters have stated clearly they want to leave Europe to water down workers’ rights. To rip up the protections that protect work-life balance, that prevent discrimination and prevent exploitation and injustice. That is why we say, the threat to the British people is not the European Union, it is a Conservative Government here in Britain, seeking to undermine the good things we have achieved in Europe and resisting changes that would benefit the ordinary people of Britain. A vote to Leave means a Conservative Government would then be in charge of negotiating Britain’s exit. Everything they have done as a Government so far means we could not rely on them to protect the workplace rights that millions rely on. A Tory Brexit negotiation would be a disaster for the majority of people in Britain. But that’s not to say we can be satisfied with the European Union as it is. We believe Europe can and must do far more to meet the needs of our people. That’s why when we make the case to remain, we also make the Labour case for reform. A Labour government will protect the gains that have benefited our people, while energetically pushing for progressive reform in Europe, in alliance with our allies across the continent. A vision of a Europe of co-operation and solidarity. And for reforms to ensure we generate prosperity across Europe to the benefit of all. Many people will be taking a European holiday in the coming months they will benefit from lower air fares and cheaper roaming charges on their mobile phones. But there are other areas where working with our political allies in Europe and the 27 other countries representing over 450 million people. We can use our collective negotiating power to stop corporations taking consumers to the cleaners. A few weeks ago, I raised with the Prime Minister the need for reform of the Posting of Workers Directive to close a loophole that allows workers from one country to work in another and be paid less than local workers doing the same job. Although the instances are relatively few, such incidents undermine community cohesion by exploiting migrant workers and undercutting local workers. His loophole only benefits unscrupulous employers seeking to drive down wages and Labour is pressuring the UK Government to back the proposals on the table to close this loophole. It is not migrants that undercut wages, but unscrupulous employers. Migrant workers are often the victims of the worst exploitation, and it is our duty to close loopholes and strengthen enforcement of employment protection here in Britain and across Europe. A couple of months ago, I held talks with the Greek Prime Minister Alexis Tsipras who was elected on a clear anti-austerity platform to resolve his country’s financial crisis. The way in which Greece was treated by its creditors, including the EU, shows that Europe has to develop fairer and more effective mechanisms to manage such crises for the future. No one benefits from enforcing unpayable debt with yet more destructive austerity and the ties of solidarity are undermined by such counter-productive action. But although Greece has suffered from enforced austerity, the Greek President and the Greek people are clear that their country wants to stay within a reformed Europe. That must be a Europe that works together to develop a strategy for renewed and shared growth, and for the gains of that growth to be shared more equally. Many thousands of people have written to me, with their concerns about the Transatlantic Trade and Investment Partnership (or T-TIP) the deal being negotiated, largely in secret, between the US and the EU. Many people are concerned rightly, that it could open up public services to further privatisation – and make privatisation effectively irreversible. Others are concerned about any potential watering down of consumer rights, food safety standards, rights at work or environmental protections and the facility for corporations to sue national governments if regulations impinged on their profits. A few weeks ago the French President, Francois Hollande, said he would veto the deal as it stands and to become law any deal would have to be ratified by each member state. So today we give this pledge, as it stands, we too would reject TTIP – and veto it in Government. And there is a challenge to the Prime Minister, if it’s not good enough for France; it’s not good enough for Britain either. David Cameron make clear now that if Britain votes to remain this month you will block any TTIP trade treaty that threatens our public services, our consumer and employment rights and that hands over power to giant corporations to override democratically elected governments. The EU’s state aid rules, which limit the scope for governments to intervene to support our vital industries, also need to change. But so does how British governments interpret them. The steel crisis highlighted how Germany, Italy, France and Spain all did much better at protecting their steel industries. They acted within EU state aid rules to support their industries, whether through taking a public stake, investing in research and development, providing loan guarantees or compensating for energy costs. Nevertheless, the rules are too restrictive and national governments must have the powers to act to protect key industries. We are committed to bringing the railways into public ownership. That is the democratic will of the public and of our party. That is why our MEPs are scrutinising the Fourth Rail Package currently being negotiated in the European Parliament to ensure that there is no obstacle to a fully socially owned rail network. More widely, we need reform in Europe to ensure we put a stop to the drive to privatise and break up our public services and utilities. The experience of Britain’s many failed privatisations and the damage done by the outsourcing of our public services is an object lesson in why the pressure to continue this three-decades-old experiment has to be brought to an end. Here and across Europe. When it comes to the refugee crisis, many European countries have made great efforts in response. Whether taking in large numbers of people fleeing persecution, or funding refugee camps in Lebanon and Turkey as Britain has done. But collectively, as a continent we have failed, failed to co-ordinate our efforts, failed those countries like Greece and Italy that have seen desperate people land on their shores in unprecedented number. And, tragically, we have failed people who desperately need and deserve our help. Labour is determined that this failure must never be allowed to happen again and that in future we co-ordinate our efforts as a continent. On migration, we cannot deny the inevitable; we live in a smaller world. Most of us in Britain know someone who has studied, worked or retired abroad. We have reciprocal arrangements with the European Union. Our citizens, well over one million of them, live in other EU countries and EU citizens come to live and work here. But it is not that simple, I’ve already talked about how some industries are affected by the undercutting of wages and the action that can be taken to tackle that. But some communities can change dramatically and rapidly and that can be disconcerting for some people. That doesn’t make them Little Englanders, xenophobes or racists. More people living in an area can put real pressure on local services like GPs surgeries, schools and housing. This isn’t the fault of migrants. It’s a failure of government. The coalition government in 2010 abolished the Migrant Impact Fund; a national fund to manage the short term impacts of migration on local communities. By abolishing it, David Cameron’s Coalition undermined the proper preparation and investment that communities need to adapt. We cannot and should not want to close the borders. Not for European citizens wanting to come here, tens of thousands of whom work in our NHS. And not for British citizens who want to take advantage of opportunities elsewhere in Europe. But we do have to make sure that public services are able to sustain the communities we have here, part of that is through a Migrant Impact Fund, but partly too it is about reversing the damaging and unnecessary austerity policies that this government continues to impose on our communities and our country. We, the Labour Party, are overwhelmingly for staying in, because we believe the European Union has brought investment, jobs and protection for workers, consumers and the environment. Europe needs to change. Today, I’ve outlined some areas for progressive reform. But those changes can only be achieved by working with our allies. There is an overwhelming case to remain and reform so that we build on the best that Europe has achieved. But that will only happen if we elect a Labour Government, committed to engaging with our allies to deliver real improvements in the lives of the people of our country. That is why we established the Labour In campaign, because we have a distinct agenda, a vision to make Britain better and fairer for everyone, by engaging with our neighbours. So please use your vote on 23 June, to vote Remain and then campaign with us for the reforms we need.